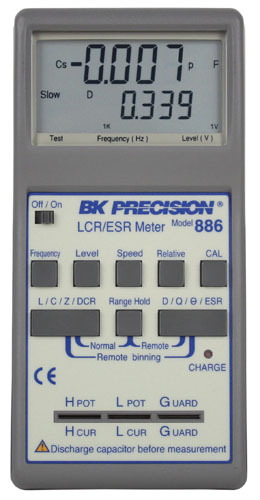 The 885 and 886 high accuracy LCR/ESR meters were the first handheld meters of their type on the market, offering fast, reliable, and versatile testing at a low cost. 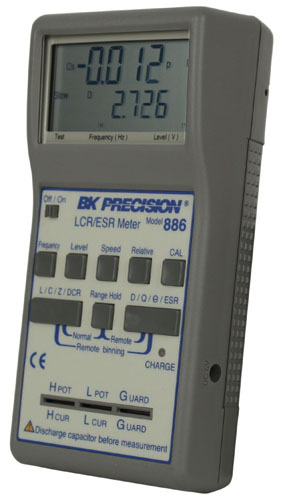 With a wide range of test frequencies up to 10 kHz (885) and 100 kHz (886), these LCR meters can perform many different measurements: Z, L, C, DCR, ESR, D, Q, and θ. 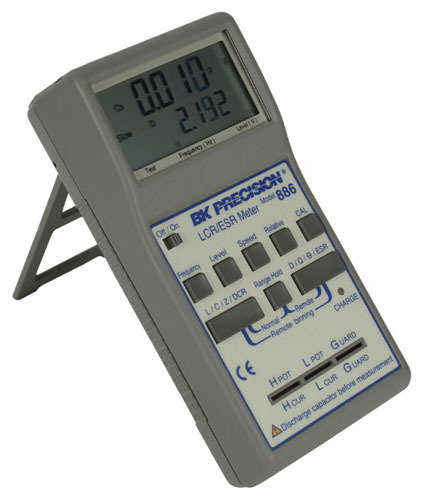 These instruments are designed for both component evaluation on the production line and fundamental impedance testing for benchtop applications. With a built-in direct test fixture, you can test lead components very easily. The optional 4-wire test clip can give a convenient connection to larger components and assemblies with the accuracy of 4-wire testing. 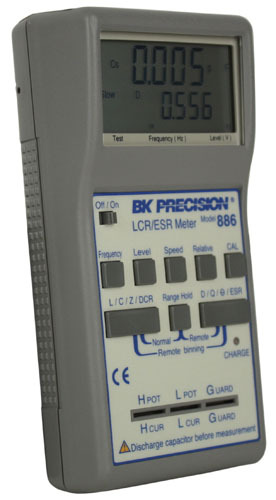 Ordering Information: Base models 885 and 886 include a 110 V AC adapter as a standard accessory. Alternatively, a 220 V AC adapter can be supplied by requesting model 885 EXD or 886 EXD at time of order.